The Elder Scrolls Online: Morrowind is now available for digital pre-order and pre-download on Xbox One. The fate of Morrowind hangs in the balance and you must take up the mantle of a hero to help Vivec, the legendary warrior-poet and Guardian of Vvardenfell, save the world from a deadly Daedric threat. Set roughly 700 years before the events of The Elder Scrolls III: Morrowind, ESO''s new Chapter takes you to familiar locations as you attempt to solve the mystery of Vivec''s mysterious illness and restore his strength. Take the battle to the Ashlands with new 4v4v4 player vs. player combat set in competitive arena-style environments. Includes The Elder Scrolls Online: Tamriel Unlimited, the first game of the acclaimed online RPG series. The Elder Scrolls Online: Tamriel Unlimited will become available to play upon the release of The Elder Scrolls Online: Morrowind on 6.6.2017. 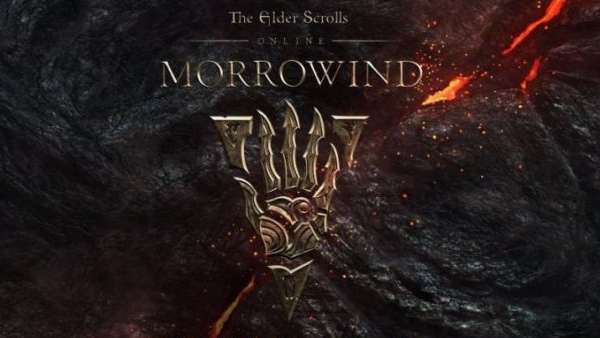 The Elder Scrolls Online: Morrowind Pre-Order: ($59.99 USD) - This bundle includes The Elder Scrolls Online: Tamriel Unlimited, The Elder Scrolls Online: Morrowind Upgrade and The Elder Scrolls Online: Morrowind – Discovery Pack. The Elder Scrolls Online: Morrowind Collector’s Edition Pre-Order: ($79.99 USD) - The Elder Scrolls Online: Tamriel Unlimited, The Elder Scrolls Online: Morrowind Upgrade and The Elder Scrolls Online: Morrowind – Discovery Pack + unique items: collector’s edition grey war bear, armored war horse, Dwarven spider pet, Morag tong converter and character emotes. The Elder Scrolls Online: Morrowind will be available on Xbox One on June 6, 2017. For more information on the game, browse through all of our Xbox One coverage via the Xbox One Games database, and don''t forget to follow us/subscribe on Twitter, Google+, Facebook and YouTube for all of the latest Xbox One release dates, upcoming Xbox One games, DLC, Xbox One game previews, game trailers, Xbox achievements and much much more. Xbox One Games: The Elder Scrolls Online: Morrowind"
Superman, the world's greatest super hero faces his biggest challenge ever! Back for vengeance and determined to control Metropolis, super villain Brainiac 13 has unleased a relentless army of robotic..